You’re reading novel The Demonic King Chases His Wife: The Rebellious Good-for-Nothing Miss Chapter 514 online at LightNovelFree.com. Please use the follow button to get notification about the latest chapter next time when you visit LightNovelFree.com. Use F11 button to read novel in full-screen(PC only). Drop by anytime you want to read free – fast – latest novel. It’s great if you could leave a comment, share your opinion about the new chapters, new novel with others on the internet. We’ll do our best to bring you the finest, latest novel everyday. Enjoy! “Roar——” It pounced onto empty air, making the Lindworm spit with anger. It opened up its ferocious mouth and once more turned around to pounce towards Su Luo. The audience below the stage, seeing this, without exception, everyone’s complexion greatly changed, their hearts trembling with fear. This was because if they were the ones pounced upon by this Lindworm, they absolutely would be torn into pieces! For the three judges underneath the stage, a grave expression also flashed through their eyes. Since His Highness Prince Jin thought so highly of this girl, that could only prove one point, that that girl would absolutely win. President Ouyang’s gaze landed lightly on Su Luo’s body, somewhat curious and also somewhat probing. Now, that Lindworm was already close to pouncing upon Su Luo. Just at this time of imminent peril! At this moment, the little puppy steadily stood on top of Su Luo’s slender and sharp shoulder, that furry, little face stretched taut. His little chin lifted slightly, glaring at the Lindworm in a spitting rage. He looked like a little Majesty berating the lowest of servants. Seeing the lofty and serious appearance of the little puppy, the audience under the stage immediately started to laugh. The original tense atmosphere also relaxed a lot. A lot of people were laughing wildly at that little puppy’s proud and lovable appearance. One after another, they covered their bellies, rolling around saying ‘hey ouch’. They were all itching to rush onto the stage to s.n.a.t.c.h the little puppy and raise it in their home. Now, Su Qing’s deep eyes contained a cynical sneer, coldly detached as she stared at Su Luo, the corner of her mouth hooked into a grim smile. Su Luo, it was already like this, how could you not die?! Su Qing was extremely confident in the Lindworm her teacher’s sect had given her! However, very quickly, her smiling expression stiffened at the corner of her mouth. Moreover, she was unable to smile again. Because once again, a strange thing appeared that made Su Qing’s large eyes fall to the ground. Originally, that foolish Wyrm’s enormous body was already flying in mid-air, it had already extended its dragon claws, with fierce teeth spread open to engulf Su Luo. Furthermore, it was only a meter’s distance away from Su Luo! But, when it heard the little puppy’s reprimand in mid-air, it was immediately startled, as if it had met an extremely terrifying thing. One could only see it hastily try to turn around, but it was hopeless for such an enormous body to do so, and suddenly, it sharply dropped rapidly in a straight line. “Bang——” The enormous body dropped heavily to the ground, smas.h.i.+ng out a deep and gigantic dragon-shaped hole into the stone slab which formed the stage. “Hiss——” Everyone in the audience under the stage inhaled a breath of cold air. The audience that was initially covering their bellies from laughter, were currently all staring foolishly at this dramatic scene on the stage. Their necks were stiff, with a dull expression, and they looked completely at a loss. What’s going on? Just now, what just happened? Wasn’t it just the little puppy wailing loudly a few times? So, could acting cute kill people? On top of everyone’s forehead were these few word, in addition to a huge question mark. You're reading novel The Demonic King Chases His Wife: The Rebellious Good-for-Nothing Miss Chapter 514 online at LightNovelFree.com. You can use the follow function to bookmark your favorite novel ( Only for registered users ). If you find any errors ( broken links, can't load photos, etc.. ), Please let us know so we can fix it as soon as possible. And when you start a conversation or debate about a certain topic with other people, please do not offend them just because you don't like their opinions. You're reading The Demonic King Chases His Wife: The Rebellious Good-for-Nothing Miss Chapter 514. This novel has been translated by Updating. 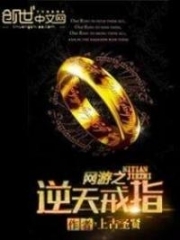 Author: Su Xiao Nuan,苏小暖 already has 12679 views. Current Time is Apr-21-2019 06:32:13 AM.